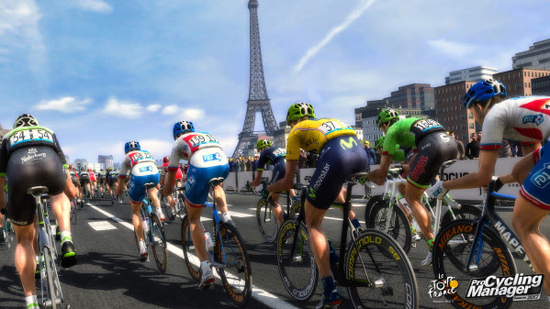 In the official Tour de France 2017 video game on consoles, experience all of the passion of the Tour de France and claim the coveted yellow jersey, when the game releases June 15 on PlayStation 4 and Xbox One! Play as the greatest riders in the world on the gorgeous roads of La Grande Boucle: attack, give orders to your teammates, choose the best trajectory, manage your stamina and make the decisions that will take your team all the way to the top! CONQUER LE TOUR DE FRANCE Experience all the passion of Le Tour de France and conquer the coveted yellow jersey! Play as the greatest riders on the gorgeous roads of La Grande Boucle: attack, give orders to your teammates, choose the best trajectory, manage your stamina and make the right decisions to lead your team all the way to the top! Tour de France 2017 will release on PlayStation 4 and Xbox One on June 15. At the same time, PC players will be able to enjoy Pro Cycling Manager 2017.